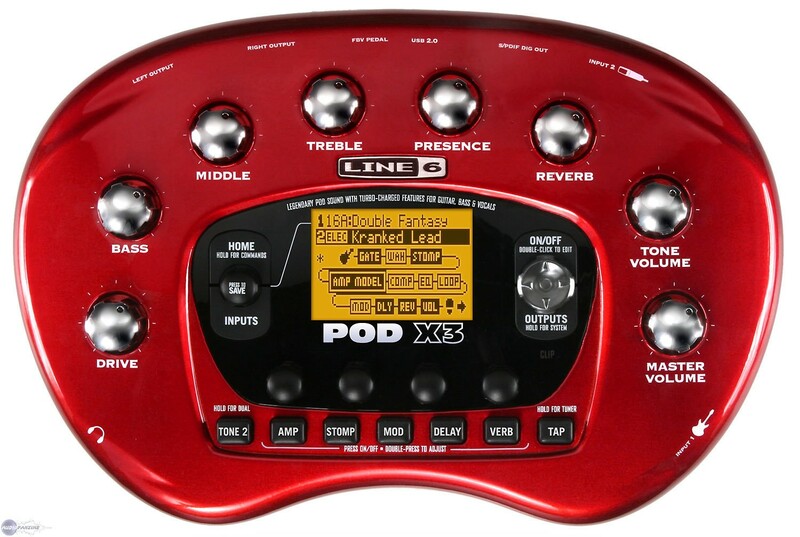 POD X3, Portable Guitar Amp Simulator from Line 6 in the POD Bean series. 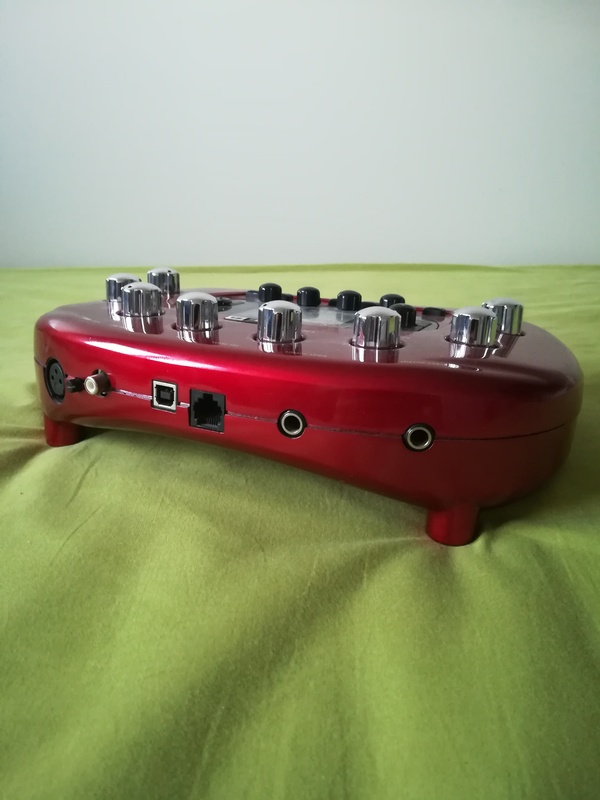 DSP simulator, it "virtualize" the most known and played gear, It could be controllable by MIDI or other Line 6 product controller, PC or Mac thru software. The great deal with it you can use it with earphones, plugged to a PA or a Power Amp. It could also be use in your Fx loop for delay reverb and modulation or as a preamp. You can also use it as a speaker emulator. It is like a swiss army knife. Could be used for recording also. The sounds is very good, it does the trick, it only fails when the system is clipping or when you don't hit the sweet spot in your settings, which can take sometimes. It still remains "unreal" you won't get that organic overall 3D sound created by the air or any moving component, that the only issue with this. Line 6 seems to work with Bogner for their amp. In the mean while this is a great tool, it sounds great. And this ton of settings and seriously you won't have anything else getting as close as the original. Full of zm models and especially the Dual Tone, the main interest only see this new version. The new look is nice, larger than a Pod 2.0. 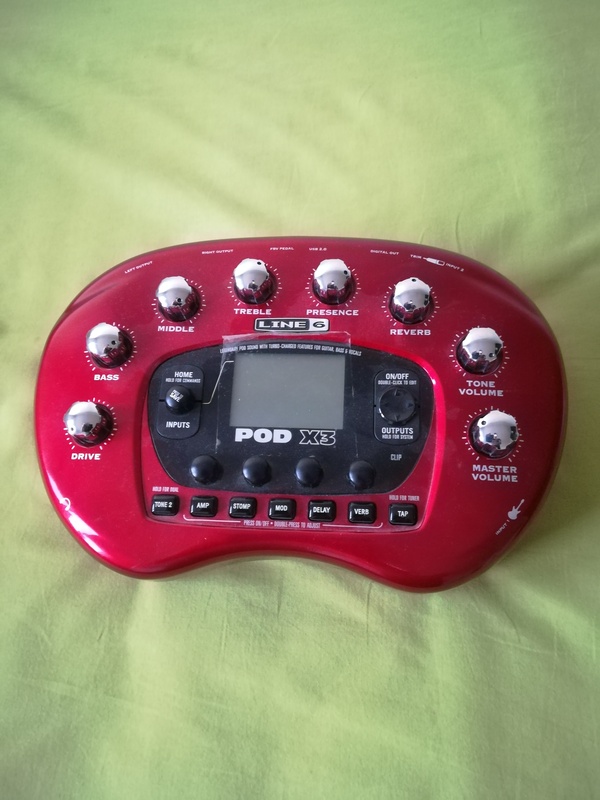 The Pod is legendary for 3 or 4 sounds and it is still valid for this version: Line6 Hi Gain, Vox AC30, Hiwatt and some other ... except this time you can use both at the same time and do a right mix / left at your convenience. It's just what we all been waiting for 10 years ... AND C IS DEADLY !!! - It is for the studio or the "small" live, to help out. 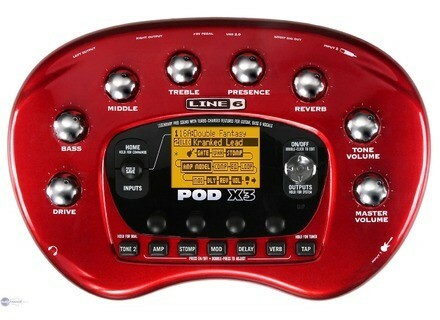 - The models for bass, electro-acoustic and singing are gadgets that can be used in certain situations. If you do not fall into the trap of over-parameterization, you use the basics amps that 9 times out of 10 their premises by default, which is the one that sounds the best, you will inevitably find your sound with the added bonus of stereo unprecedented picture on this kind of product. Note parametric equalizer which allows to tune the sound very professional manner. The noise gate is Top. Live in an amp or live on a sound, it will be hard to have a better sound with a simple all-tube Marshall and a few pedals transplanted with a dedicated mic. gratteurdebluesteel's review (This content has been automatically translated from French)" Multi-purpose good"
See my tip for use with VirtualBox for those who have concerns of recognition by the app. Is this a rack or rack-mount model? Editing sounds and effects is it easy? My guitarist has a version also live my bass player. The crankset is a plus for the scene. Which ones do you prefer, you hate? Ben actually I just fix it but I know the live versions that have my bandmates. What thing do you like most and least? Well ... I paid 20 € ... it was sold without a power supply (probably sold next ...) and HS state. scorpiolino's review (This content has been automatically translated from French)" Really"
That said with a little sissy you come to understand! Editing sounds is quite easy thanks to the joystick type button. say that after some time it has quickly identified the story. and thanks to this we get a very good sound. it gives a better rendering. 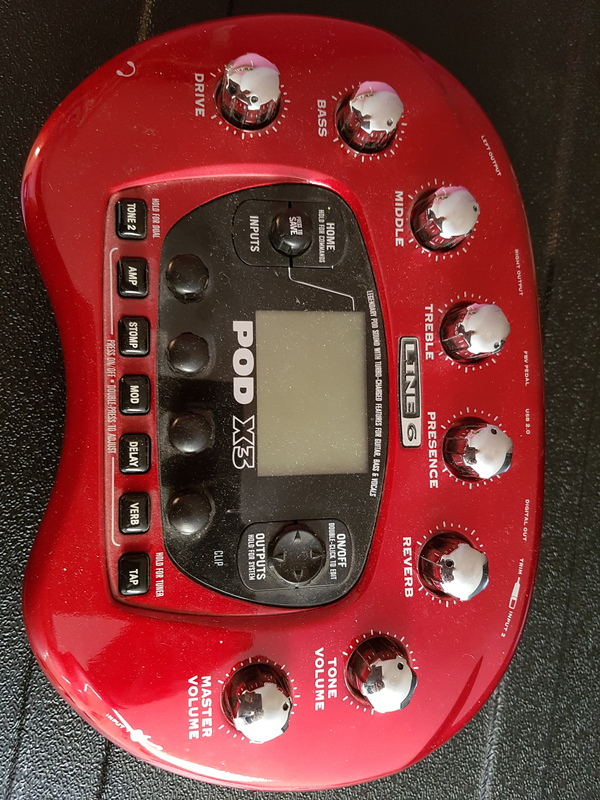 I'm not used my pedal Behringer FCB 1010 with POD X3 and damage? but hey! Even with an acoustic guitar it sounds great! As input jack + microphone input and plays with 2 channels! too good! I would say YES I made a deal and I would do the choice! 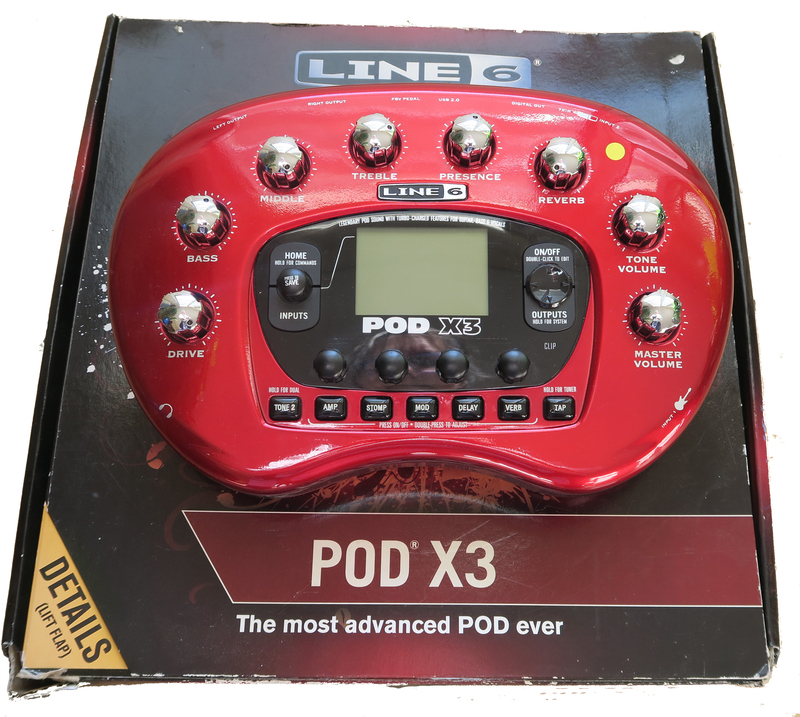 Line 6 announced the release of POD X3 V2.0, a free software update designed to deliver a collection of additional effects to all Line 6 POD X3 products.